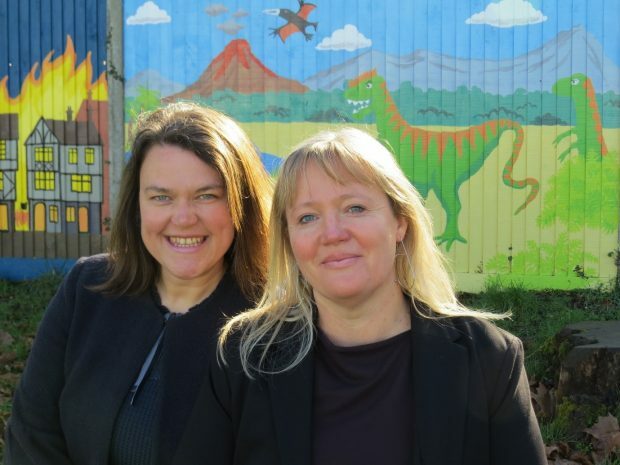 Alison Fitch and Rebecca Stacey are co-heads at Boxgrove Primary School in Surrey. Following the launch of the DfE’s recruitment and retention strategy, which outlined steps to promote flexible working, Alison and Rebbeca explain how they make job-sharing work for them. We have been co-heads of Boxgrove Primary School, part of Guildford Education Partnership Academies in Surrey, for the last four years. 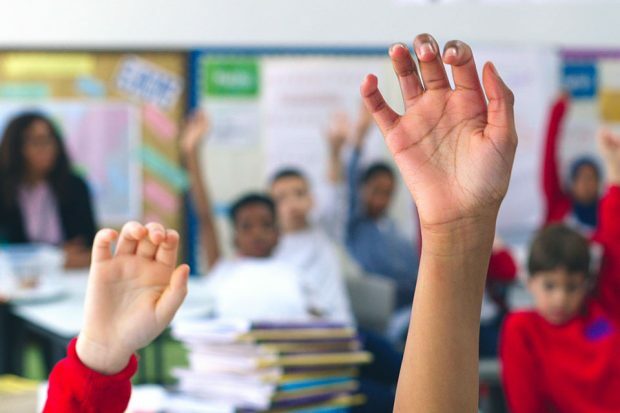 It would seem to be a universally accepted truth that there is a palpable need for more flexible working in education; and yet it’s always quite striking to hear how difficult it can be to come across part-time roles. A “yes” to flexible working can open up a whole new way of working. We aren’t at school five days a week and so one of the obvious benefits is that we bring additional energy to the role. We have time to think, time to reflect and consider, and as a result, we don’t have that constant threat of burn-out hanging over us. Many heads suffer from poor health – they are working at full tilt, and at some point, for some people, something has to give. Burn-out is an issue for many schools – but with our approach, we are fortunate to have never been at that point. Another major benefit is that we don’t suffer the same sense of isolation that many heads do. Whether it’s an Ofsted inspection, a set of data that doesn’t quite hit the mark or a serious safeguarding concern, the buck stops with you. That can be a very lonely place as an individual head. We don’t have that - we are in it together and we support each other. We have each other for those ‘wake-in-the-middle-of-the-night moments’ – happily they are few and far between! From the parent’s point of view, having two of us gives them more options. There will be some families who prefer dealing with one of us over the other and it also helps spread the load too. At Boxgrove we have 630 pupils and 113 staff, so having us both works effectively. So how on earth did we manage to secure this seemingly dream job? Well, the truth is that it happened organically. An interim headship came up and neither of us could have taken on a full-time post due to childcare – we have five children between us. As deputy and assistant head at Boxgrove at the time, we had worked with each other for many years and felt we could make a strong case for a job-share. We had the opportunity to prove it was a workable model and we’d already been part of the leadership team, it didn’t represent a massive change for staff. We were – in effect – tried and tested. To ensure continuity we’ve developed five threads that make up our school vision, and we return to those again and again to underpin decisions we make and actions we take. We have an overlap day on a Wednesday and a handover on a Sunday night. Of course, sometimes there are out of hours calls, but flexible working is in its very essence flexible - we don’t have to be on site every day but are flexible in other ways. It won’t be surprising to hear that we are both passionate advocates of flexible working. At Boxgrove we have lots of part-time staff, from our midday supervisors right up to our Deputy. What’s really important to us – and we’re living proof of this – is that if you don’t allow people to work flexibly, you will lose really highly-skilled teachers. Even though there can be associated costs, in our experience you get more than you pay for: our sum is greater than our parts. This attitude means we retain our staff, we still have many of our NQTs and lots who trained with us. Keeping the staff who share our vision and fight for what we believe in, no matter their working pattern, means simply that our school will continue to improve for the children we serve. So, if you’re looking for a job-share, be bold about it. Be confident in your offer as a combination and don’t apologise for only working part-time – we need to free ourselves from the belief that if you work flexibly you’re somehow less committed. If anything, it shows more commitment because it usually means that you’re prepared to leave your own children to teach other people’s. Any move towards flexible working in schools has got to be a positive thing, and practical steps to make this happen will serve us well. It’s genuinely good news that the government is shining a light on flexible working in schools through the recruitment and retention strategy and working closely with leaders and teachers to develop practical resources for schools on flexible work as well as a job-share service. It took me 21 years to get a part time deputy head role! I don't see a job share headship as any kind of reality for me so have decided to leave teaching at the moment to consider what I want to do for a career now. It would be amazing to see more flexibility in teaching but I fear there is a long way to go.